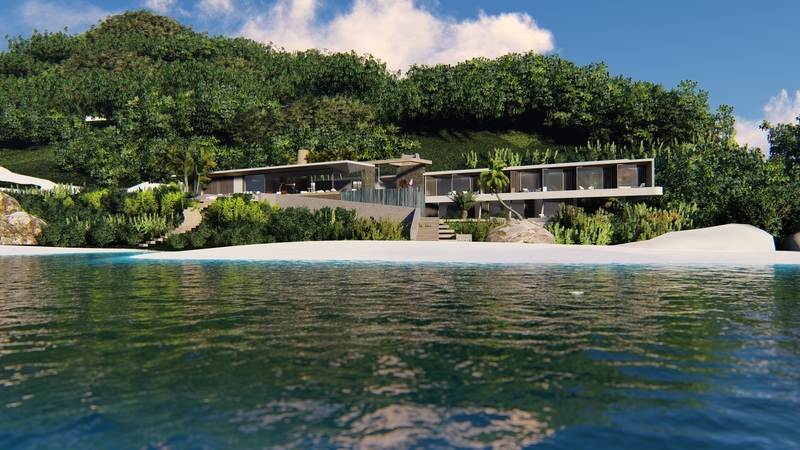 KSR Architects has successfully prepared proposals for luxury holiday homes in the Caribbean, including most recently Barbados and Antigua, building on experiences in the Seychelles. We are happy to assist you on other Caribbean islands including Bermuda, St Lucia, Cayman Islands, Turks and Caicos and more. From our office in London we have the experience and capability of working around the globe, with our current workload including projects in China, Moscow and Antigua. 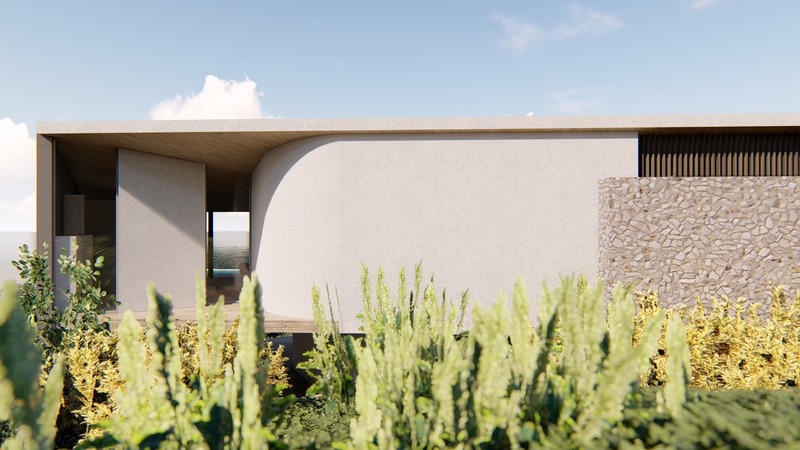 We are very used to working with local planning and building regulations, using local materials and respecting the local vernacular as appropriate. 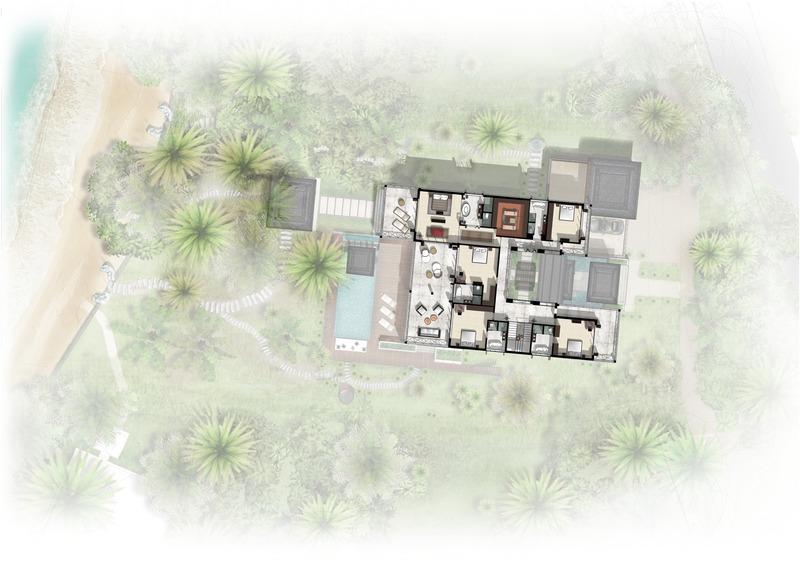 Whether it is giving love and attention to improve an existing property, or developing an empty plot of land, KSR Architects will work with you to create a high-end luxury home to suit your requirements. 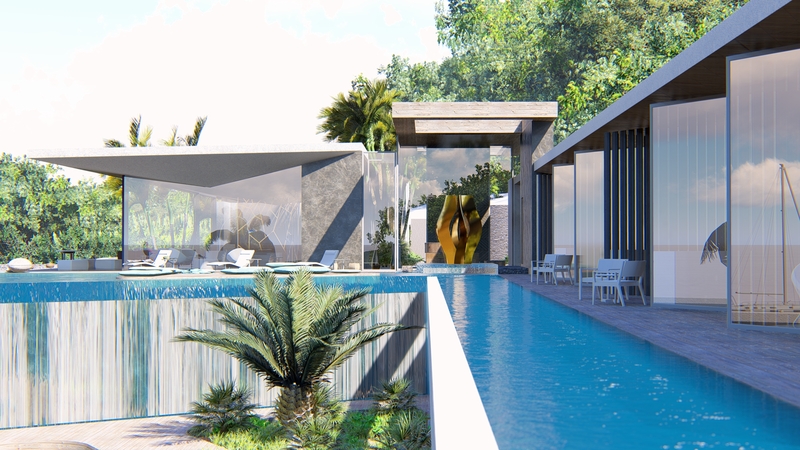 Our project in the Barbados demonstrates our ability to replicate the comfort and design edge that our clients expect in their London home, but in the Caribbean. 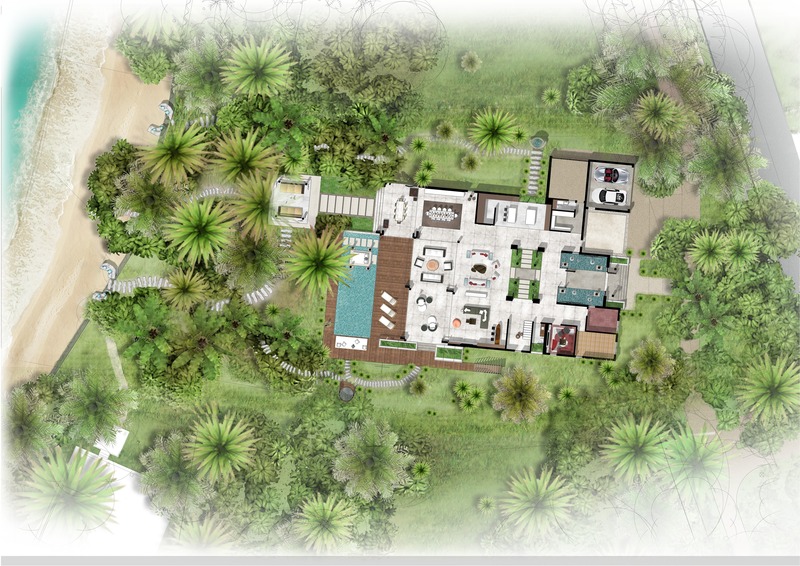 It highlights our commitment to innovation and a design-led approach. The internal spaces flow freely between the different uses with latest technology being integrated within the design to maximise comfort. 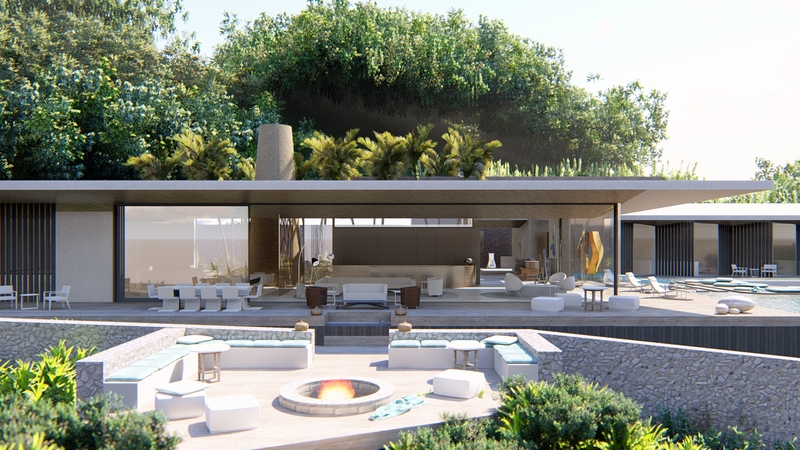 This 6 bedroom luxury modern villa, located on a private island in the Caribbean, combines two wings united by a grand glass entrance; one wing for sleeping and one for entertaining. 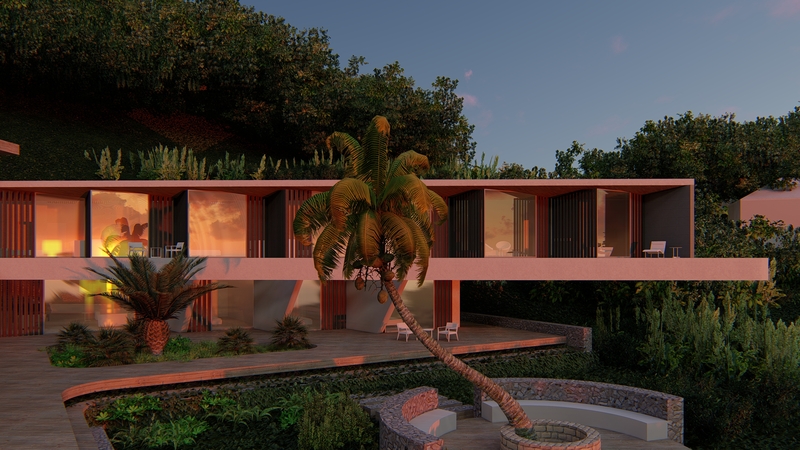 The floorplan maximises views of the sea, whilst the external appearance relates to the rocky outcrop and allows it to nestle within the lush surroundings using local natural building material such as indigenous coral and timber. KSR also carried out a full interior design service. 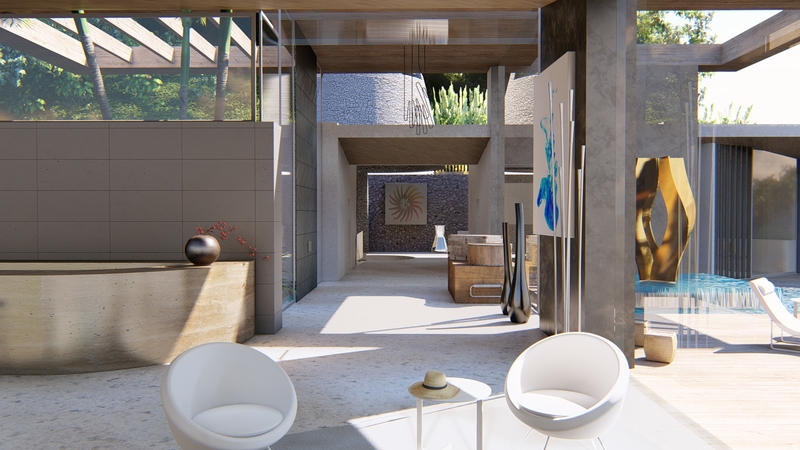 The entertainment area includes a large open plan space with floor to ceiling windows framing panoramic views. The bedroom area has that are angled windows to add privacy from the main house and provide uninterrupted views. 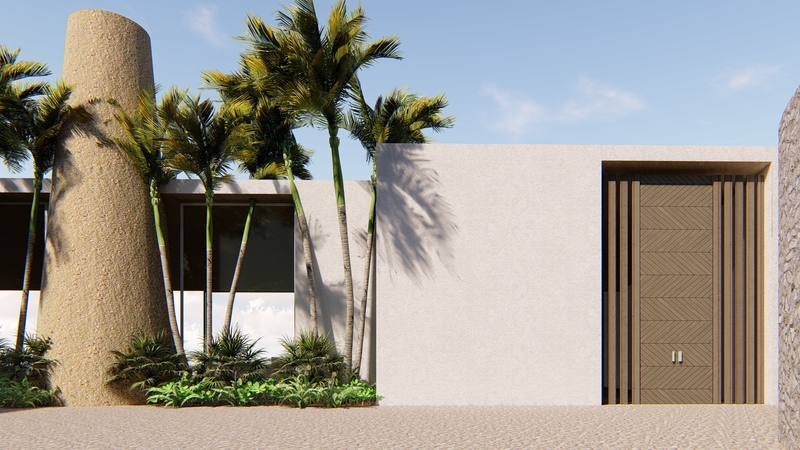 Projecting soffits and a combination of stone, timber and concrete keep the house cool in the hot climate and also achieve the contemporary style the client desired.